Barbara Koroma reinforces this message of hope to the women at Pathways and Calvary Women’s Shelter during her self-esteem groups. As coordinator of the Life Skills educational program at Calvary Women’s Services, I feel extremely lucky to have someone like Barbara a part of our program. Every week I hear messages of thankfulness for having “Barbara EYES” here to exemplify the possibilities in life. Barbara herself has “been there.” She has been homeless several times in her life and grew up in an abusive home. However, she is an example to residents that challenges can make you stronger, and that you can overcome your pain to find yourself able to have a positive self-image, healthy relationships, and achieve your goals, no matter how unattainable they seem to be. Every week, many residents prepare 15 minutes early for her class. Everyone – staff included – look forward to her monthly “Expressions Night” where residents share a poem, dance, craft, or a personal object that means something special to them. I was sending out letters to homeless shelters that I was interested in reaching out and offering my self-esteem group information. Calvary was the first to get back to me! I love helping people. Helping people in need, and or giving back. I’ve received many blessings recently, and I want to give back. How have you felt your impact as a volunteer? My hope is that I am making an impact in what I do. I know I am making an impact because they let me know. The residents set goals. They have followed through with the exercises, and they help. We use affirmations to let women know that they can achieve. “I can do it, yes I can” is our motto. I use material from newsletters from people who motivate and inspire, and I pass down the information and explain progress. Additionally, I have speakers call in to speak to the residents. For example, I recently had someone was living in the projects and became a millionaire. 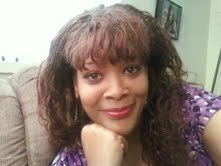 Another woman started her own publishing company and has published 3 books after overcoming a lot of obstacles. Another, Gail, is a minister and motivational speaker. Silver Rae Fox, a DJ from Texas who is a motivational speaker. Every month we have an “expressions night” – to give them an opportunity to share their talents and things that matter to them – earrings they make, singing, and reciting poetry. One memorable event happened last month when a woman read a monologue about her personal experience living in a shelter, and how she got there. It was so good that everyone stood up and clapped. Every time I come. A particular day was when a resident shared a prayer and worship dance at expressions night. Some were moved to tears, and were also moved to share. I like the interaction with the women, also sharing my life experience with them and hearing their feedback. Ask questions, make comments, and provide feedback that this means a lot to them. They care about the information they’re receiving and applying it to life.